Kim Kardashian and Kanye West plan to make their wedding extra special and educational. According to People, Kardashian and West will let quests experience the wonders of Château of Versailles during a private surprise tour on Friday, May 23, on the verve of their wedding. The couple made this decision together in hopes their quest will grasp a better understanding of the exceptional heritage of the castle of Versailles, which is a World Heritage site. The gorgeous duo first checked out the place in January, which was rumored to be where the wedding itself would take place, but palace official denied the rumors. What are some ways to spice up your wedding rehearsal? 1. Make it themed: A fun idea would to be make your wedding rehearsals themed. Have everyone dress up in the same style or era and make the festivities match what you want. You could make it themed by year such 50′s style or 60′s or you can do something else like make it western style, or mexican style or Italian it doesn’t matter just pick something you both love. 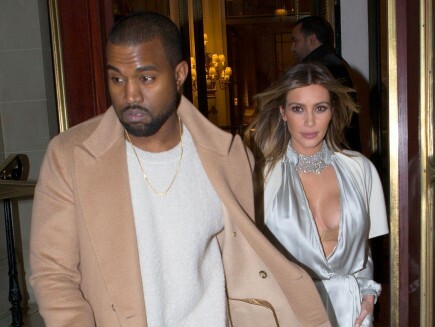 Related: Kim Kardashian and Kanye West Visit Paris: Wedding Plans? 3. Have some games: Make your wedding rehearsals really fun by having and creating some fun games for guests to play. To make it even better for the guests get cool prizes for them to win, noting makes games more exciting than adding the chance of winning awesome prizes. Playing fun games doesn’t have to be strictly raffle or guessing games, you can also have a paintball fight or a sports game, just make whatever you do fun for all. What do you think are good ways to spice up your wedding rehearsal? Share you tips below.